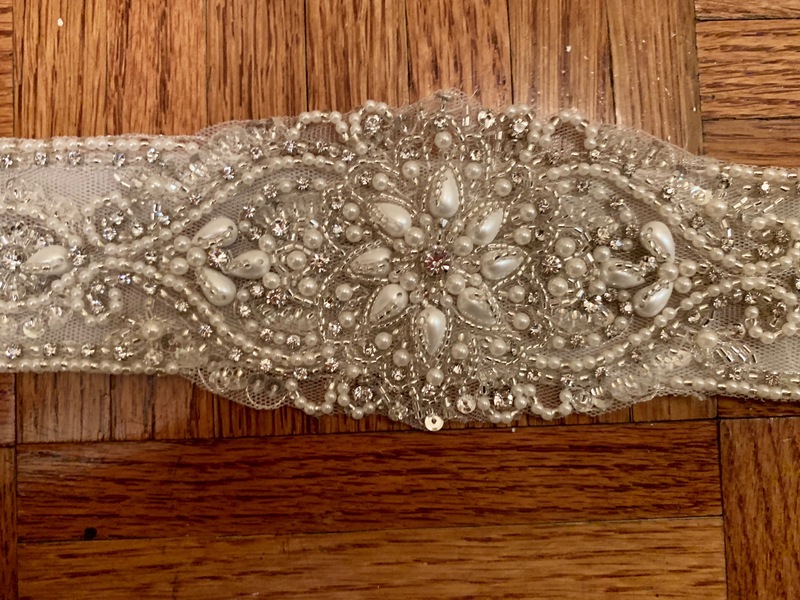 Brand new (NEVER before worn - perfect condition) Justin Alexander designer bridal wedding dress belt/sash. 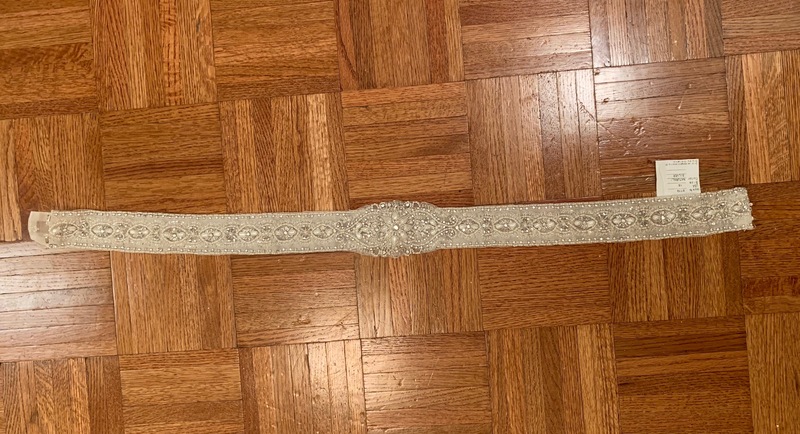 Belt is comprised of an ivory mesh backing, adorned with rhinestones, beading, and pearls. Gorgeous accessory to add a timeless touch of extra sparkle to your wedding dress. 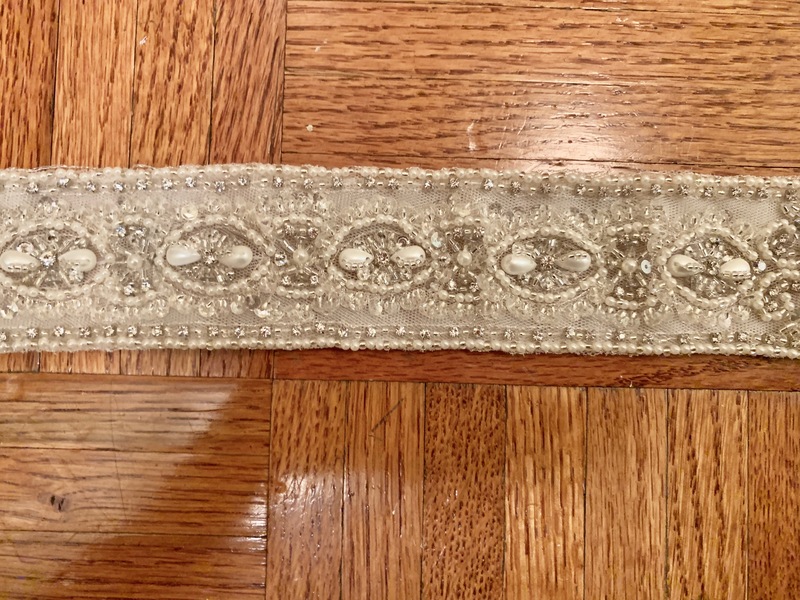 Hidden clasp to secure belt around waist. 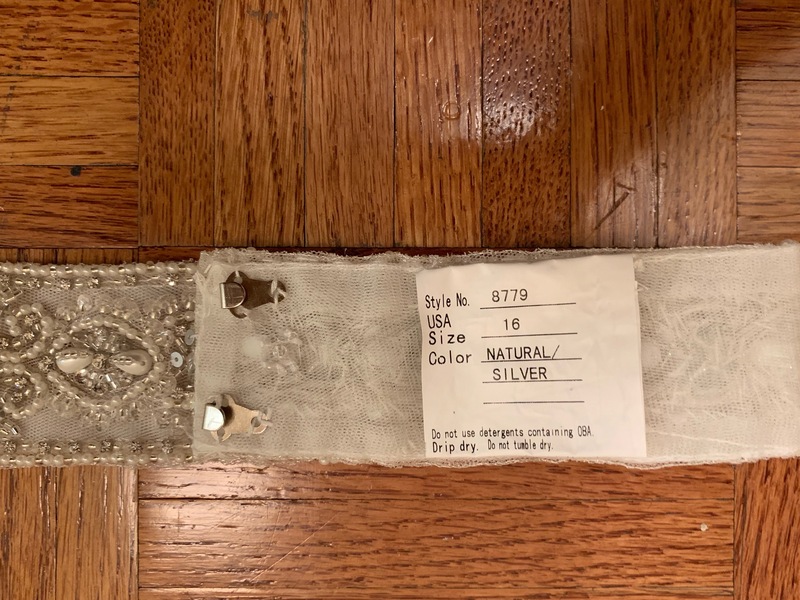 Belt Dimensions: 33.2 inches length x 2 inches width* *Most of belt is 2 inches wide, except for the middle 3.5 inches of the belt, which is 2.6 inches width.